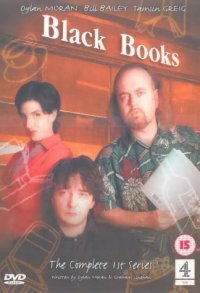 Black Books is an amazing, and fairly unknown, gem from Channel 4’s Friday Night comedy line-up. The Basil Fawlty of bookshops, Bernard Black demonstrates how now to run a bookshop, with the help of employee Manny and friend Fran from the shop next door. If you missed the series, watch out for the repeats on Channel 4, or better still, get hold of the DVD. Cutting comedy, well-produced and highly entertaining, especially if you like the surreal! This site contains some useful information on Black Books, news on new series and upcoming video releases, a brief episode listing, and some useful links. Please visit our Black Books forum and get talking about the series. Series 1 (Sept 2000) Series 1 ran from September 2000 on Friday nights on Channel 4. Series 2(Feb 2002) Series 2 ran from February 2002 on Friday nights on Channel 4. 6. Party – Manny’s keen to get off to a friend’s party so he can leave a thimble lying around casually, and Fran reveals some information on Bernard’s not-so-ex-girlfriend. Series 4 Looks like there are no plans for a Series 4. 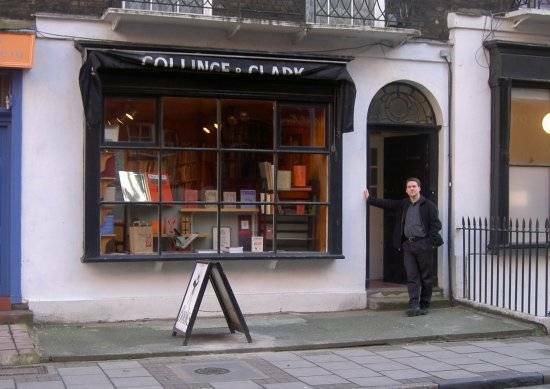 In a BBC Radio 2 interview with Dylan Moran back in 2004, it appeared unlikely that a fourth series would be put together, and at the time, there were murmurings of a Black Books stage show, but that appears not to have happened. Several years later, it looks like there’s no chance of any more Black Books, sadly, although it’s worth seeing Bill Bailey and Dylan Moran live, should you ever get the chance. Series 2 . The DVD and video were released on the 22nd March 2004. DVD available from Amazon, and also available with free P and P from Play.com.Series 2 became available in March 2003 in Australia (See ABC Shop) as a Region 4 DVD, and on PAL format VHS video. Two site visitors have complained that the Australian DVD is only available in 1:1.33 ratio, and not widescreen (16:9) as with the Series 1 DVD, but another visitor reports that the Series 2 DVD is in fact widescreen, just wrongly labeled. Thanks to Gavin for reporting that the Australian release states it’s a Region 0, which may be playable in other areas. DVD Easter Egg: Extended/deleted scenes. Series 3. The DVD and video were released on 4th October 2004. Sadly, no audio commentary this time around, but a good collection of outtakes, a sizable amount of deleted scenes, a rather odd item called “Bernard’s Letter” about a response to a rejection, and a collection of trailers and scrolling images. Available from the following link at Amazon. The Box Set. A DVD box set of Series 1, 2 and 3 became available on 4th October 2004. Price is £17.99 from the following link at Amazon. For details of when you can next see an episode of Black Books on a UK TV channel, give the DigiGuide TV listings service a try. You can find out more about the Digiguide service in our Digiguide Review. Cream.org – A few clips from Black Books Series 1.